These toppers are red, green and blue. If you would like different colors, please place that information in the "note to seller" section during checkout. If you would like your toppers customized with an initial or age, please place that information in the "note to seller" section during checkout. The center will otherwise be left blank. These were perfect! 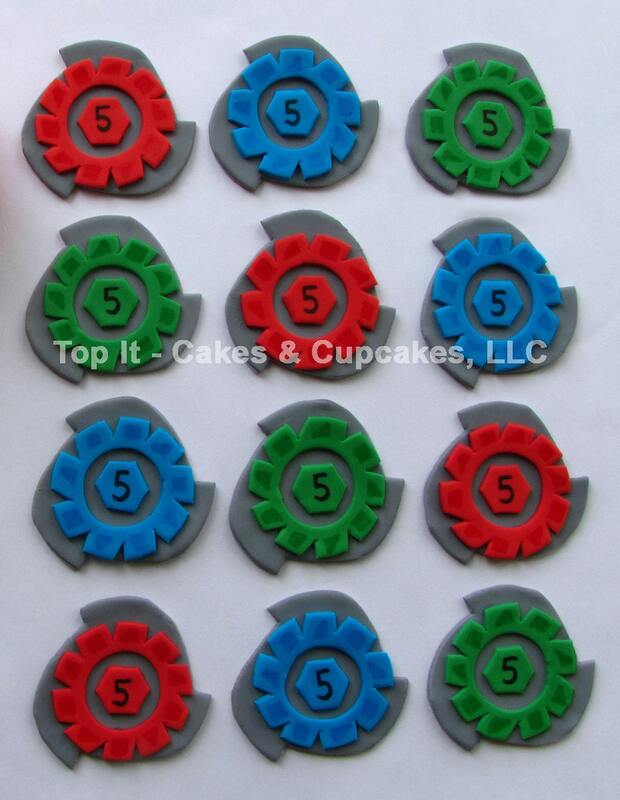 Loved them so much for my son's BeyBlade party! Thank you so much!